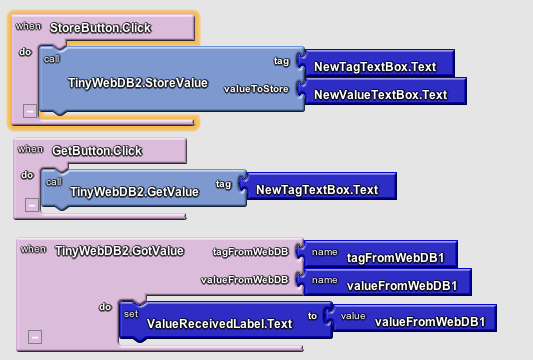 These instructions are for creating a TinyWebDB database using Python2.7 and App Engine. Python 2.5 is being deprecated within App Engine, so these instructions and sample code are the best way to go! Thanks very much for sharing this info…especially the new zipped database code file…I was struggling trying to migrate to Python 2.7 and I was stuck…should have checked here several days ago ! Is there a java version for creating a web database? Because I’m using Google App Engine/ java. Thanks! This is a complete and very helpful information ! I could also migrate to Python 2.7.